A little high in fat and not fully clean, but hello heaven in my mouth. 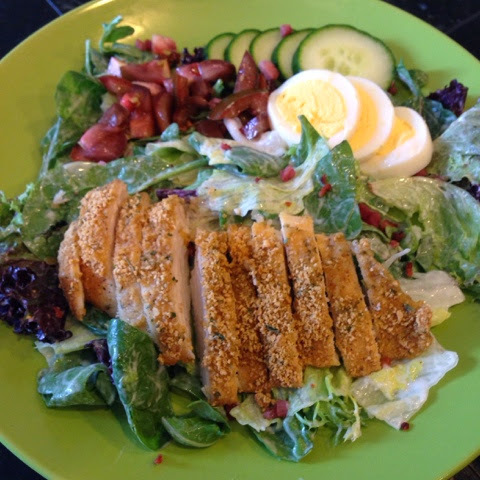 Cobb salad with greek yogurt ranch and pancetta crumbles with parmesan ranch crusted oven baked chicken breast. Chicken was coated in a ranch packet, Parmesan cheese and bread crumbs. It was cooked for 20 minutes at 400 degrees.